NO FIRM WILL GIVE YOU A BETTER EXPERIENCE DEALING WITH YOUR TRAFFIC TICKET! Receiving a traffic ticket is nothing to be ashamed of. Good law abiding citizens get tickets. While handling your citation, your task is to make an informed decision on how you navigate the many loopholes and traps found in the North Carolina General Statutes. Simply paying off your ticket using PAYNCTICKET.ORG which was information provided to you by the police officer or court clerk is an admission of guilt which can result in serious long term consequences to your license and insurance premiums. Review the DMV & SDIP Points in the section below. 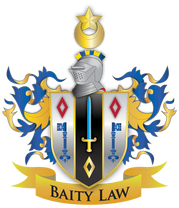 At Baity Law, our attorney has successfully handled thousands and thousands of traffic tickets over the past 22 years on a daily basis. In fact, Mr. Baity enjoys the nickname of "Chapter 20" in administrative traffic court stemming from his breadth of knowledge in traffic and insurance issues based in Chapter 20 of the North Carolina General Statutes and other bodies of law. Even without a detailed defense, in most cases, Mr. Baity can enter a plea in your absence calculated to put you in the best possible position in light of your charge and the effects of the law. Your trust will be well-placed. The North Carolina State Legislature passed a new surcharge in 2011 for non-moving violations of $50 over and above your court cost and regular fine. As a result, a non-moving violation (no points on your license or insurance) will cost more than the fee quoted on your citation. This surcharge has had a chilling effect upon individuals wanting to use a non-moving violation even though it is in their best interest. Keep in mind, if you pay what is on your citation, you are pleading guilty and will receive consequences based upon the point systems addressed below. When our attorney represents you, you will not be requested to appear in court unless he specifically tells you otherwise. This is true even if the police officer tells you that your appearance is mandatory. Payment of legal fees can be made over the internet, by mail, in person, or by phone. Appropriate forms of payment include cash (do not mail cash), Visa/Mastercard, or by money order. Pricing for our services is enclosed in the advertisement you received. If your particular charge is not listed please contact us for pricing. We will match any verified attorney fee on speeding tickets. There is a $25 fee for any returned checks. Once the case is disposed of, you will receive a notice by e-mail or mail, your choice, to give you the information necessary to pay your court cost and fines directly to the Clerk of Court office at the address given. Keep in mind, there are deadlines to pay the court system. If your court cost and fines are not timely paid, you will be required to pay substantial late fees. We will give you all necessary information at the conclusion of your case. Your disposition letter will provide you with the exact address you need to pay for your court costs and fines directly to the Clerk of Court. Court cost and fines are required to be paid on the day of court. If not then they will assess an additional fee of twenty dollars. North Carolina has two distinct point systems when dealing with traffic violations. The first point system is that which is enforced by the North Carolina Division of Motor Vehicles for moving violations. The second point system is an insurance point system known as the Safe Driver Incentive Plan. This point system runs in conjunction with the NC DMV point system. An accumulation of these points can lead to increased insurance premiums of up to 400% and eventual suspension of your driver's license privileges. Driver's License Points: The North Carolina Division of Motor Vehicles maintains a record of convictions and automobile accidents for every person licensed or required to be licensed. The NC DMV will assign points for convictions of North Carolina's Motor Vehicle Laws in accordance with the schedule below. If you accumulate 12 or more points within a three-year period, the NC DMV may suspend your license. The first suspension of your driver's license under the point system shall be for no more then 60 days. The second suspension shall not exceed 6 months and any subsequent suspension shall not exceed one year. If you are in danger of losing your license because you have accumulated too many driver's license points, the NC DMV may allow you to attend the Driver Improvement Clinic and have three points removed from your record. However, this does not remove the points from your insurance. You can only take this Driver Improvement Course once every 5 years. Once your license has been suspended, you can face a second suspension of your license if you accumulate 8 or more points during the three-year time period immediately following the reinstatement of your license. If you are convicted of two or more traffic offenses which were committed on a single occasion, then you will only be assessed driver's license points for the offense having the greater point value. ■ Passing a stopped school bus. • The basic North Carolina automobile insurance rates which are set out in the North Carolina Personal Automobile Manual. Also see the NC Rate Bureau. • Insurance points which they have accumulated during the past three years for moving violations and accidents. • Whether their insurance company has transferred their coverage to the reinsurance facility. • What region of North Carolina they live in. • Whether that have three years or less driving experience. North Carolina drivers will be assessed insurance points if convicted of a moving violation or if they have an at fault accident during a three year experience period. This three-year period is determined to be the three-year period immediately preceding the date of application, or the date of preparation of renewal of your insurance policy. A conviction includes pleas of guilty, no contest, suspended sentences, forfeiture of bail and the payment of court costs and a fine. Each household may receive one Prayer for Judgment Continued (PJC) every three years without it counting as a conviction. Prayer for Judgment Continued upon the payment of costs, without more, does not constitute the entry of judgment. ■ Highway racing (not prearranged) or knowingly lending a motor vehicle to be used in the race. ■ Speeding more than 10 mph over the limit, if total speed was in excess of 55 mph but less than 76 mph. ■ Driving on the wrong side of the road. ■ Any other moving violation. ■ *Points are not assigned for these violations unless the same driver has been convicted of at least one other moving violation during the experience period (the last three years). The operator was not convicted of a moving traffic violation in connection with the accident. There was no personal injury. If you failed to make an appearance in court or failed to hire an attorney to appear for you using a waiver of appearance, then your license will be suspended until the matter is resolved. A Failure To Appear Fee of $200 will be assessed in addition to court for cost and fines. On more serious non-waivable traffic matters, an Order For Arrest will be issued and the driver will be arrested. At Baity Law, we routinely assist clients who find themselves in this situation. Mr. Baity will get the OFA stricken and add the case back on the docket for the most advantageous disposition in your situation. Most times, we can get the court to agree to strike the FTA fee of $200. This is a cheaper, quicker, and less stressful way to handle the situation rather than being arrested and having to post a release bond. A DWLR charge received before December 1, 2013 can subject the driver to active jail time since it is a Class 1 misdemeanor. A DWLR received after December 1, 2013, is a class 3 misdemeanor. A DWLR Impaired Revocation is still a class 1 misdemeanor. A conviction of DWLR may subject the driver to an additional suspension of one year on his/her license. 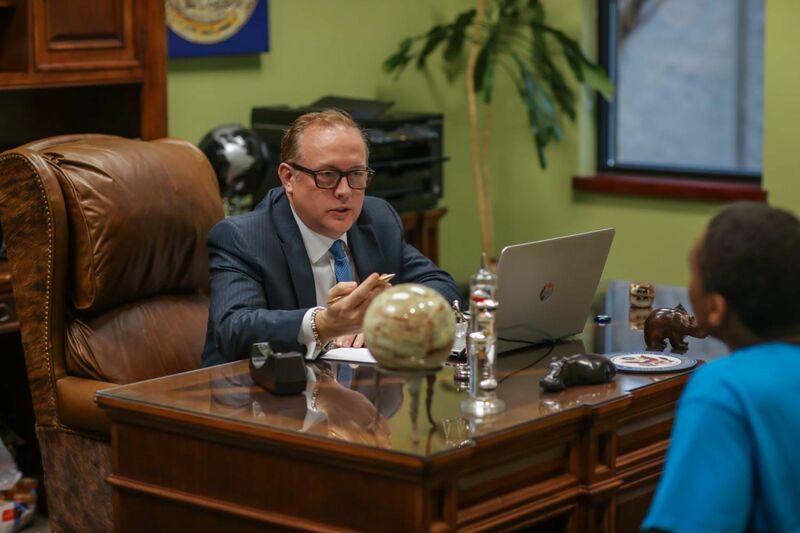 Mr. Baity is well versed in the law and will assure that your case is handled properly so that you avoid the many potential traps and pitfalls. Maybe your license is suspended due to unpaid or multiple unpaid tickets. Do not simply pay off these tickets without first giving us a call. Even if you are told that you simply need to pay off the tickets by the DMV or Clerk's office, many times there are circumstances that will cause an additional revocation period. At Baity law, we are experienced in getting client's license issues corrected so that they may get their license reinstated, many times without additional suspensions. Be assured, Mr. Baity will be with you in court to minimize punishment by seeking avoidance of an active jail sentence, and probation. Let Mr. Baity put his 22 years of experience to work for you. Perhaps you went into court believing that you could handle your traffic ticket by yourself or simply just paid off a bunch of old traffic cases, and now your getting a sky rocketing insurance bill or you've received a suspension notice from the DMV. At Baity Law, we are experienced in handling these types of situations. In many cases, Mr. Baity can get the case re-opened in court and have the District Attorney's office and the judge agree to the entry of a new disposition in your case which could eliminate or minimize the consequences that you previously created. To learn more contact our office for a free consultation.